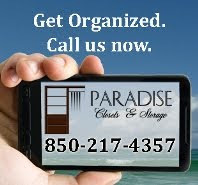 It is our goal to ensure that you are so satisfied with the products and service provided by Paradise Closets and Storage that you tell a friend. We can only achieve that goal by providing you with beautiful, functional, high quality closets that enhance your home, save you time, and make your life easier. "Do you need a new closet? Let Paradise Closets build your dream closet. 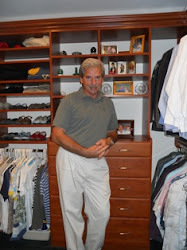 After shopping several vendors, Paradise Closets was HALF the cost of other providers!! And the product is equally as good!I had not met Phil until we began this process. Phil was a pleasure to have in the house and luckily he did not mind Parker asking him a few questions! Check out these photos to see for yourself!"